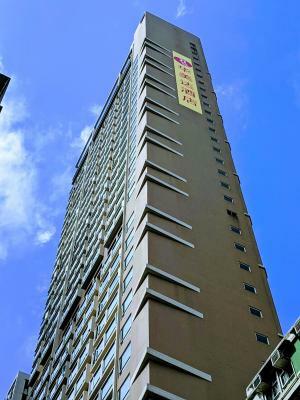 Location is just a few minute walk to the MTR. It made our trips elsewhere in HK really easy. Rooms are cleaned consistently. Size of the room is also good for HK standards. Good value for money. 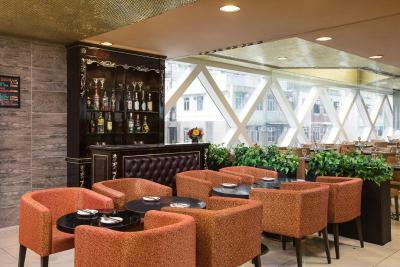 The breakfast was good and the location is near the MTR and Tram Station which is great. Some of the staff were helpful. The housekeeping staff on the 20th floor were nice. Also the restaurant staff were pleasant. The location was perfect. It was good for a short stay. the room was nice and clean but bit small good for couple and nice harbour view while drinking coffee early in the morning behind the windows.. our stay was nice and will be back for sure .. breakfast is good.. location was great.. rigth side of the hotel is exit of mtr..
Ramada Hong Kong Harbour View This rating is a reflection of how the property compares to the industry standard when it comes to price, facilities and services available. It's based on a self-evaluation by the property. Use this rating to help choose your stay! One of our best sellers in Hong Kong! 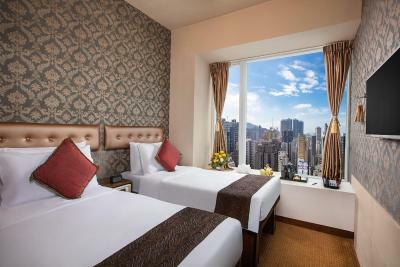 Featuring a seasonal swimming pool, Ramada Hong Kong Harbor View (Formerly Name: Best Western Hotel Harbor View) also provides free WiFi in all areas. This 4-star modern property is only steps from Sai Ying Pun MTR Station (Exit A1) and is 5 minutes' drive from the International Finance Center. 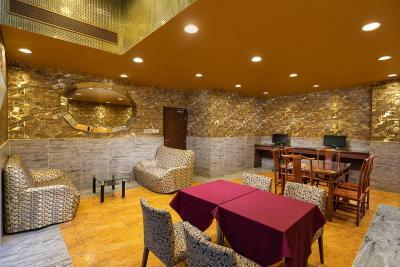 The air-conditioned rooms are all equipped with a flat-screen TV, personal safe and tea/coffee making facilities. 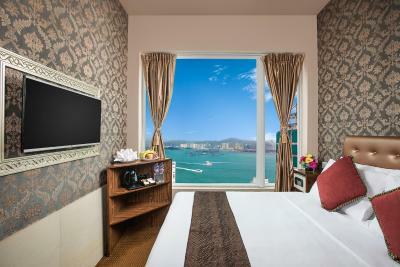 Some rooms enjoy views of the mountain or Victoria Harbor. Private bathrooms come with a shower. 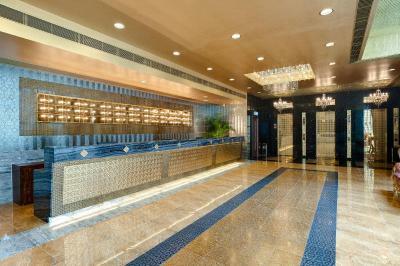 Guests can exercise at the gym, or arrange a day trip at the tour desk. 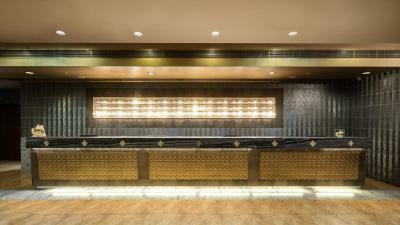 The hotel also provides laundry services, luggage storage and a 24-hour front desk. 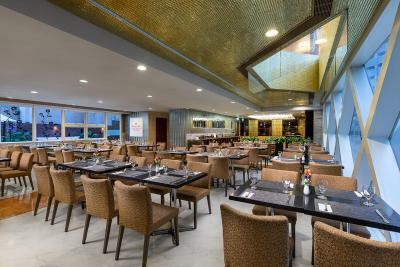 Breakfast, lunch and dinner are served at the hotel's coffee shop. In-room dining is also possible with room service. 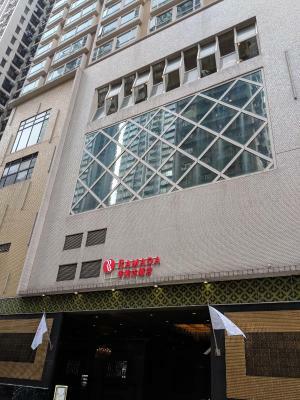 Ramada Hong Kong Harbor View (Formerly Name: Best Western Hotel Harbor View) is only a 1-minute stroll from the Eastern Street Tram Stop (E15), where guests can take the unique double-decker tram to explore Hong Kong. 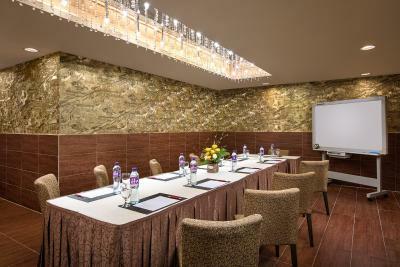 It is a 10-minute drive from the Hong Kong Convention and Exhibition Center, a 15-minute drive from Ocean Park and a 30-minute drive from Hong Kong International Airport. 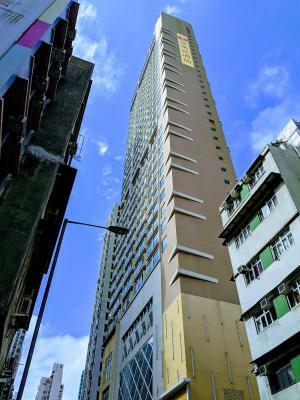 Sai Ying Pun is a great choice for travelers interested in city walks, convenient public transportation and sightseeing. 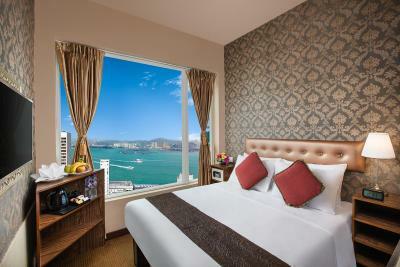 When would you like to stay at Ramada Hong Kong Harbour View? This double room features a satellite TV, soundproofing and electric kettle. This twin/double room features a tumble dryer, soundproofing and air conditioning. 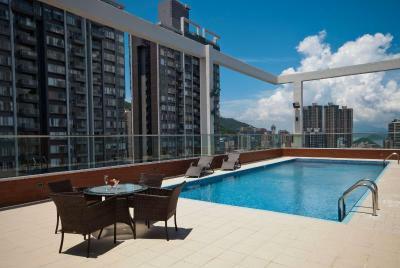 Top roof outdoor swimming pool (on 38/Floor) is opened for hotel guests during the Summer season. 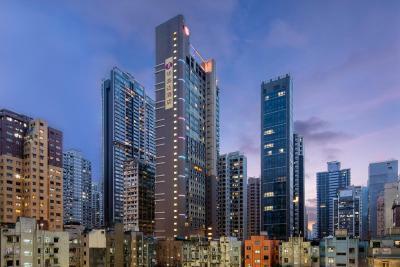 House Rules Ramada Hong Kong Harbour View takes special requests – add in the next step! 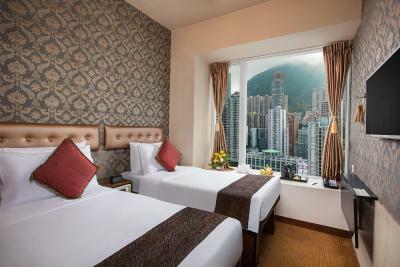 Ramada Hong Kong Harbour View accepts these cards and reserves the right to temporarily hold an amount prior to arrival. 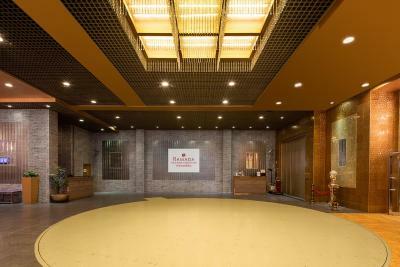 - Different policies and additional supplements may apply to booking of more than 6 rooms. For more information, please contact the property directly. - Name changes are strictly prohibited for nonrefundable bookings and within the hotel's cancellation policy. - For breakfast inclusive rates, it only includes breakfast for 2 adults. - For nonrefundable bookings, the total amount of entire stay must be obtained from given credit card except any Debit Card (Electronic) and American Express card. Same credit card provided on the reservation must be presented upon check-in for payment verification. - Any reservation under standard cancellation policy, pre-authorization code must be obtained from the given credit card for guarantee purpose only. - 10% service charge will be applied on top of the cancellation cost in case of any no-show or cancellation penalty. - Guest are required to present a valid photo ID, passport and credit card upon check-in, please note that all special requests are subject to availability and additional charges may be applied. The hotel has the word "Harbour" in it yet no harbour was to be seen anywhere. Looking out of the windows you only see more buildings. The reception area was on the 5th floor. The staff were very straight faced. The breakfast was very basic. Being in Hong Kong for the first time, maybe this is Hong Kong. 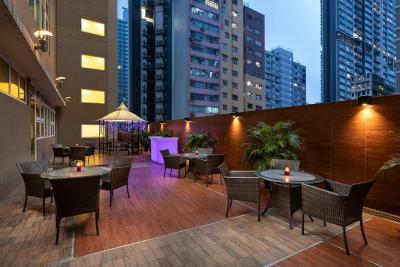 Location was sort of fine but that was the first Hong Kong hotel that I have been to. Room was really small; very cramped and really only suitable for a single person maybe a backpacker. Felt very claustrophobic. No storage facilities. Bathroom exceedingly small had to sit sideways on toilet as very little leg room between toilet and shower tub. Paid for late check out and was locked out of room so had to go down to reception. Although we were informed pool was seasonal it was actually closed off. Expected a lot more from a Ramada Hotel for the price. The size of the room were so embarassing for an hotel four stars part of a well-know chain. No desk and chair, just a small and light reclinable table coming over the bed and using this last as chair. Absolutely uncomfortable if you are working in the room to prepare the following day's meeting. No wardrobe and a very small bathroom with no space for a sink, that has been allocated in the room. So and so is the location, without nothing interesting in proximity, but with a metro station within 100 mt, where you can easily reach, Central, WanChai and Kowloon. I booked the room trusting in the name of the chain (Wyndham) which I am a fidelity user, so I was supposing to find a comfortable room. If I was looking for a small and not so comfortable room I would certainly have booked a cheaper 1-2 stars hotel. Nothing in particular has been quite good to be mentioned. The Hotel was noisey,slaming doors,voices yelling at 3am to 6am,Really...my toilet kept blocking and the breakfast was ordinary, i only used 5 breakfast vouchers.. The rooms are incredibly small. Sharing a double room was very hard, as we could not even walk past each other in the room. It was impossible to sit on the toilet without having your legs in the bathtub - the bathrooms were that small. I would certainly look elsewhere, if I visited HK again. This hotel has a great location - walking distance to lots and right beside and island line underground stop. It is very close to some nice restaurants and in the harbour view rooms there is a lovely view. It is well known and all taxi drivers will know where it is, which is handy at night time. Lifts were a nightmare and took 15 mins to get out in the morning! 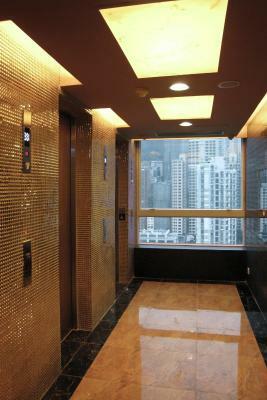 Need more than 3 lifts for size of hotel! Bed was rock hard and room tiny. Most disappointing thing was the pool was put of use and the hotel didn’t even have the courtesy to let us know! 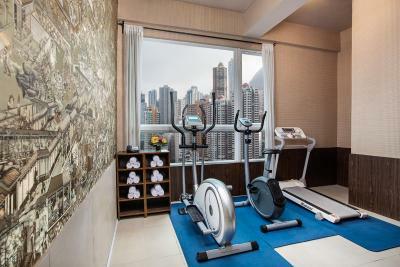 Should be 3 star ..and the fitness room is a joke..never in this world this is an international 4 star ..rooms are so small ..even for Hong Kong ?not recommended as a 4 star treat !